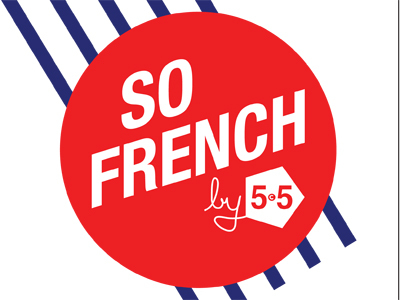 The “So French” exhibition at L’Atelier Renault features iconic objects expressing French identity and culture that have been reconfigured by the designers from the 5.5 studio. 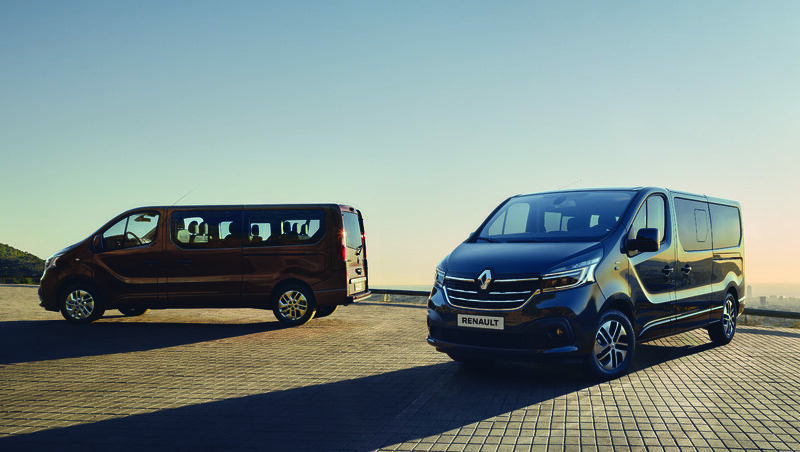 From charentaise slippers to marinière sailor tops, take a fresh look at Gallic classics from an automotive point of view. 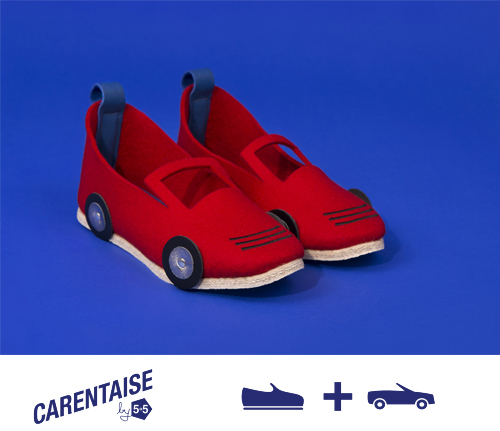 The famous slipper, dating back to the 18th century, is reinterpreted here in the shape of a small voiturette car. Stereotypes about the French are legion, but the Frenchman proudly sporting his moustache has to be one of the most entrenched. 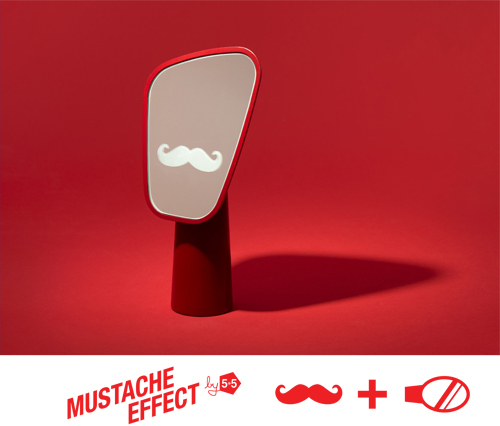 With this mirror inspired by car side-view mirrors, the people at 5.5 put a moustache on your lips and a French smile on your face! While the image of a French person wine bottle in hand may be a caricature, it is true that the French are deeply attached to their noble vintages. 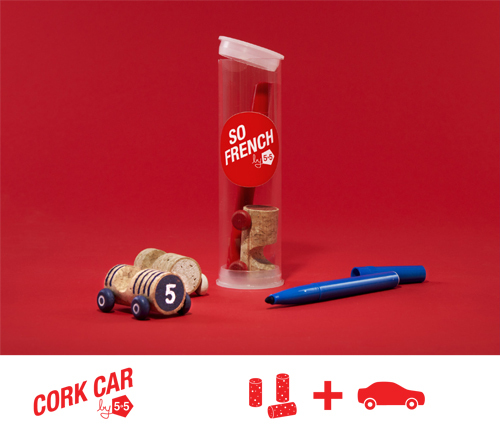 The 5.5 team has taken a traditional cork out of context to create a small car to be personalized with markers. The beret is a classic symbol of Frenchness the world over and practically embedded in the country’s DNA. For the 5.5 studio the beret is more than a simple hat, standing for a state of mind, a lifestyle. 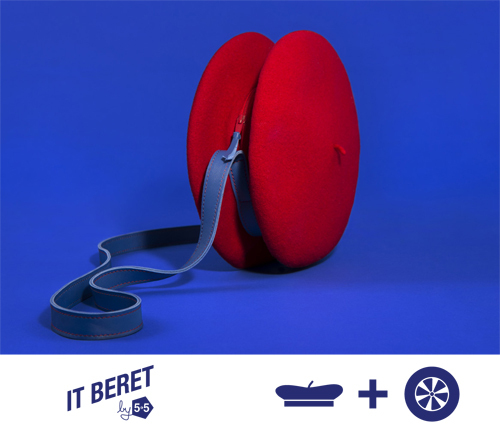 The team built on that idea to transform the beret into an out-and-out fashion accessory redolent of French-style chic. The Duralex glass has become popular though its use since 1946 in school canteens across France. Having marked generations of schoolchildren, it now holds a special status in the collective memory. 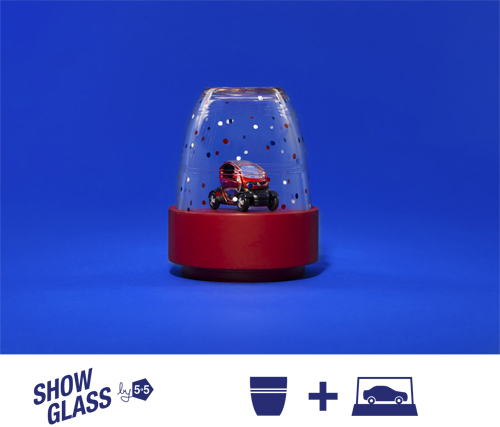 By placing it upside down on a wooden base, the 5.5 team have turned the glass into a small presentation bell for displaying precious objects, thereby reinventing the Renault toy-car showcase. 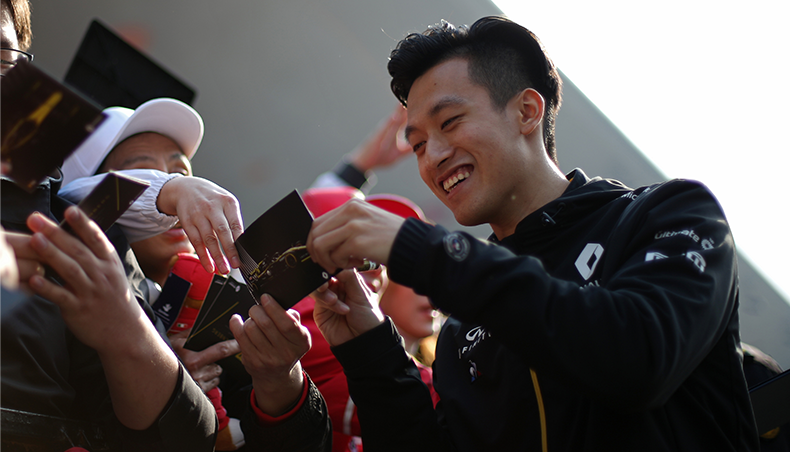 These five articles are available for purchase. 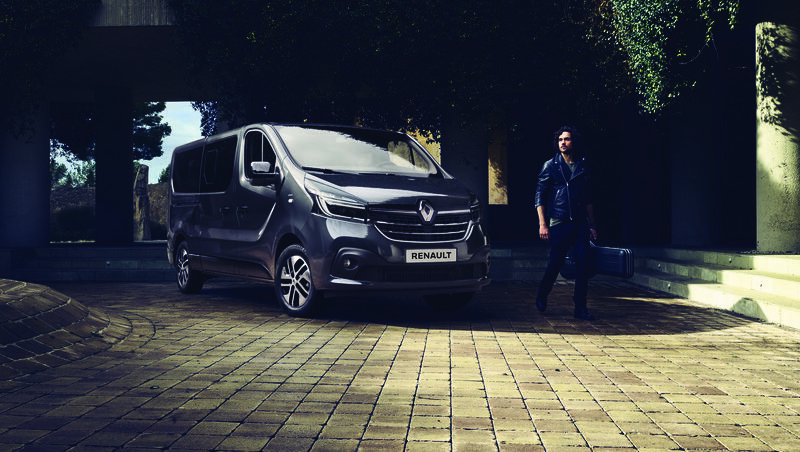 Find out more at the l’Atelier Renault website. 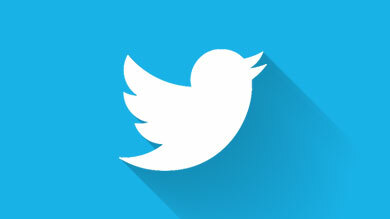 The French rooster is considered as a national symbol, an undeniable expression of France. With its tuneful, proud character, the rooster is seen by many as resembling a French person proud of their roots and country. 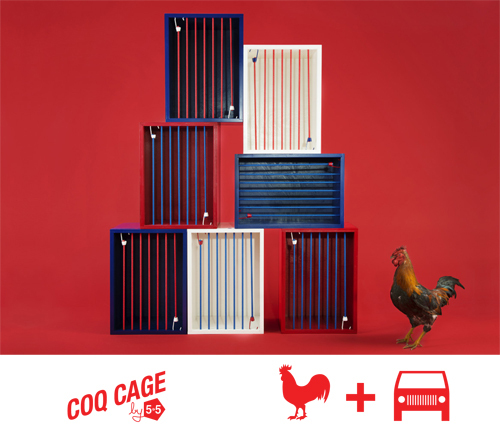 Inspired by the radiator grille on a car, the creative talents at 5.5 have designed rooster cages that stack to form storage furniture. The blue-and-white striped marinière jersey is the basis for the official outfit of the French navy. 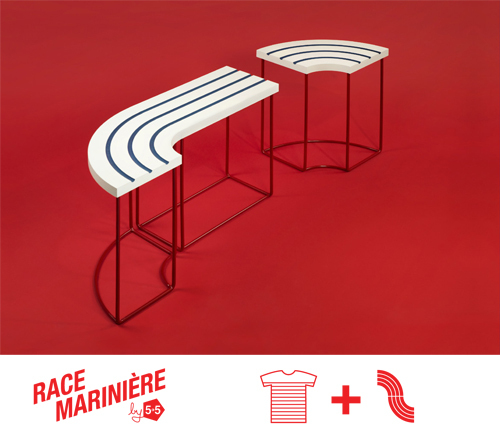 The 5.5 team has revisited the iconic pattern, designing small tables that fit together like the track segments of slot car racing sets. Snails in butter, white wine, garlic and parsley is a French culinary classic. 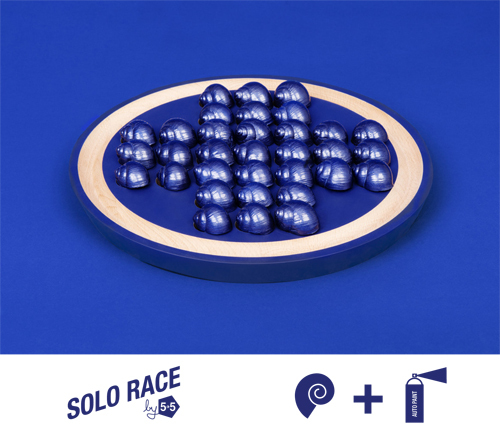 The 5.5 design studio has created a game of solitaire on a board resembling the special dish used to serve snails. The pawns are replaced by snail shells lacquered in car paint. The famous game of pétanques is played across France. 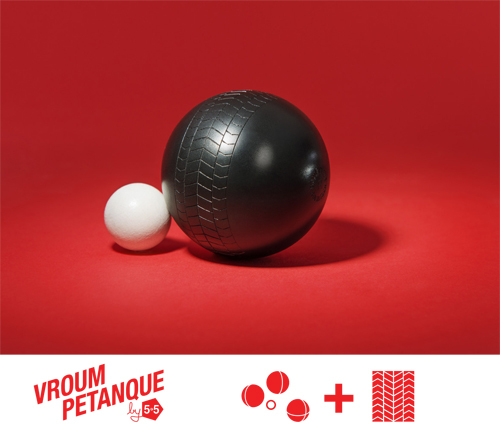 The people at 5.5 have designed a set of pétanque balls that leave tire tracks behind them on their way to the jack. 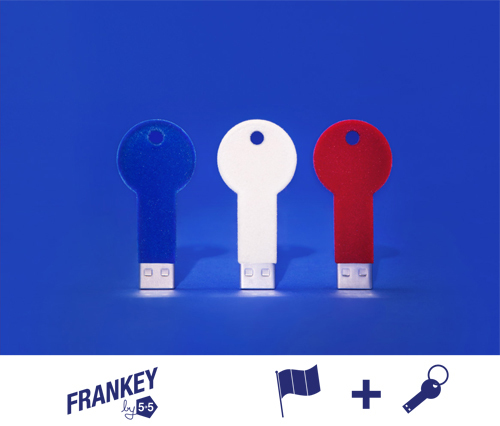 The 5.5 team has created a USB key in the shape of a door key – and bearing the colors of the French flag – for the LaCie brand.